• The best bass drum pedal for beginners (under $100). • The best bass drum pedal for intermediate drummers (under $200). • The absolute best bass drum pedal, regardless of price. Further down, we’ve also explained some of the most important bass drum pedal parts, including drive types, footboard styles, and different cams. These are some of the key factors affecting how your pedal feels and plays. We’ve gone in-depth here to help you understand the important stuff, so you can buy the best bass drum pedal for you. We’re gonna get straight into it: What is the best bass drum pedal available today, for the different types of drummers out there? If you’re shopping for a new bass drum pedal, you’ve come to the right place. We’ve tested over a dozen different pedals to find the best ones, and we’ll tell you exactly why they’re worth your money. Use the links below to skip to a specific category, or scroll down to see everything. First up we’ve got the best bass drum pedal for beginner drummers: Perfect for when you’re starting out and need something good that won’t break the bank. If you got a stock bass drum pedal with your beginner’s drum kit, this will be a very nice upgrade. How have we defined a “beginner bass drum pedal”? Well, we’re looking for the best bass drum pedal under $100. Quality and affordability are important here. When testing these pedals, we’ve also made sure that they’re not just a beginner’s toy – it’s important to buy something that you’ll enjoy using for years to come. 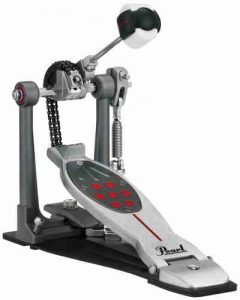 First up, the Pearl P930 bass drum pedal is an extremely well built chain-drive pedal, and it plays super smooth. Importantly, it’s also extremely versatile… Pearl have included some excellent features, many which are usually only found on more advanced pedals. There’s even some features here you won’t find on on the most expensive pedals! The versatility makes the Pearl P930 really stand out, and it’s why we rate it as the best bass drum pedal under $100. As a beginner, it’s priceless to be able to experiment with different bass drum pedal configurations to find what works best for your feet. The P930 Demonator lets you do this more than any other pedal in this price range… By the time you’re ready to upgrade, you’ll know exactly what you’re looking for in a bass drum pedal. For these reasons, the Pearl P930 Demonator is our pick for the best bass drum pedal for beginners, and the best bass drum pedal under $100. Fully adjustable beater angle (independent of the footboard): This allows you to position the beater at any angle. Importantly, changing the beater angle doesn’t affect the footboard height, which happens with a lot of other cheap bass drum pedals. Great work by Pearl for making this happen! Interchangeable cams: This is something really unique – You get a round cam (for a consistent feel across the whole pedal movement), and an eccentric cam (which increases the beater’s speed as it gets closer to the drumhead). This is something rarely seen in a drum pedal, let along a drum pedal under $100. 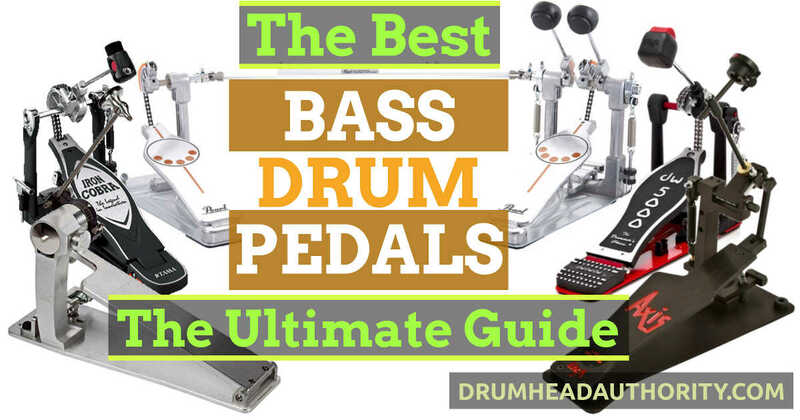 Tip – see our bass drum pedal buying guide below for more on cams. Powershifter footboard: The footboard can be pushed forward or backward, depending on your preference. Find the footboard placement that works best for you. Great spring tension adjustment system: Pearl’s locking mechanism is quick and easy to lift, adjust, and snap back into place. 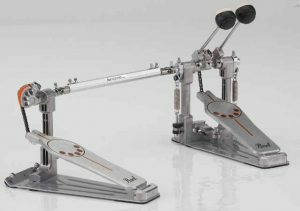 Double bass drum pedal options: You can buy the add-on kit to turn your single pedal into a double bass drum pedal. You can also buy a double pedal right from the start (model number P932). The double pedal version is smooth, solid, and comes with the same features as the single pedal (full independent beater angle adjustment, interchangeable cams, Powershifter footboard, two-sided beater). Double bass pedal hi-hat setup: The slave pedal’s tower is on the right side (instead of being double-sided), making it easier to position the hi-hat stand to the left. Two-sided beater: A plastic side (for a brighter attack), and a felt side (for a slightly warmer bass drum sound). The above features, combined with an extremely solid, reliable, and smooth design, give the P930 the award for the best bass drum pedal for beginners, and the best bass drum pedal under $100. Being able to try different cam types, beater angles, and footboard positions all in the one pedal is perfect for beginners. It’s like having four pedals in one. Importantly, this is a really smooth and well-built bass drum pedal, and something that you can still use even as an intermediate or advanced drummer… The P930 isn’t a toy that you’ll quickly outgrow. In fact, if you’re a more advanced drummer looking for a great spare bass drum pedal, the P930 is a perfect choice. Pearl have done a great job, with top build quality and stand-out features that make the P930 deserving of the best bass drum pedal for beginners award. Both the singe and double bass drum pedal version are great quality, and cannot be beaten for the price. The Pearl P930 is the only bass drum pedal to feature in our huge article on the best drum gifts. We think this pedal is worth a special mention in our best bass drum pedal for beginners category… The DW 2000 is a very smooth and well built piece of equipment, and a great bass drum pedal. DW are renowned for building top-quality drum hardware, and the DW 2000 is no exception. It doesn’t take top position in our best bass drum pedal for beginners category, because it’s simply doesn’t have the versatility of the Pearl P930. 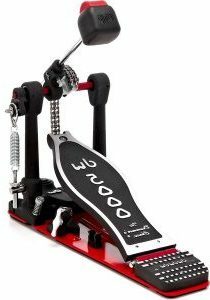 However, if you want a no-fuss beginner bass drum pedal that is ready to play right out of the box, the DW 2000 is made for you. This is a beginner’s bass drum pedal for people who don’t want to get lost in the huge range of adjustments with the Pearl P930. There are enough adjustable parts to set up this pedal well, without being overwhelmed by options. Like the Pearl P930, the DW 2000 is a single chain pedal with a smooth feel and a very solid construction. It’s worth mentioning that the beater angle and footboard height are not independently adjustable (changing one will move the other). The beater is two-sided, however both sides are plastic (compared to one felt and one plastic side on the Pearl P930 above). DW have included some thoughtful features with the pedal: There’s a handy drum key clip built in. There’s also velcro on the underside of the base plate, to stop this pedal slipping on carpet (retractable spikes are also included). The double pedal slave has a single right-side tower, making hi-hat placement easy, and the double pedal action is very smooth for a cheaper pedal. Overall, the DW 2000 is an excellent beginner’s bass drum pedal, and one that will serve you well for years to come. If you’re overwhelmed by the range of adjustment options with the Pearl P930 above, you’ll be very happy with the DW 2000… There are less changeable parts and options (just the basics compared to the P930), but everything functions very well. It takes our runner up position for best bass drum pedal under $100 due to the excellent build quality, smooth feel, and rock solid reliability. The DW 5000 is an industry standard, and for good reason. Chances are you’ve seen or used one somewhere: these are the ultra-reliable workhorses of the bass drum pedal world. The DW 5000 is extremely well built, with a great range of features and an extremely smooth feel. You can tell DW understand what drummers need in a pedal, based on what they’ve included in the design. 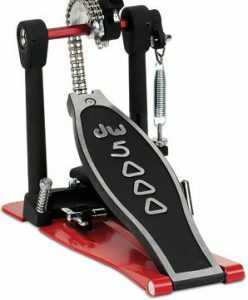 If you only buy one bass drum pedal for your whole drumming life, the DW 5000 is an absolute top choice. 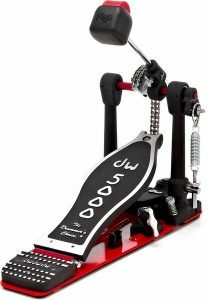 Why have we rated the DW 5000 as the best bass drum pedal for intermediate drummers? At this skill level, you need something designed for plenty of gigging on different kits and in different locations. The latest version of the DW 5000 is perfect for this, and it’s backed up by a super smooth action. Solid double chain drive, which can also be replaced for a strap drive. Tri-Pivot Toe Clamp: Clamps quickly and securely to any bass drum hoop, making it a great gigging pedal to use on different kits. This is one of the best clamps we’ve seen, because it automatically adjusts itself to any type of hoop. Adjustable beater angle, chain length, and footboard height. 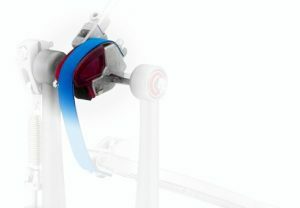 Two cam options: When buying, you can choose from the Turbo cam (for a consistent feel across the entire range of motion), or the Accelerator cam (for increased beater velocity across part of the motion, making the pedal feel faster). 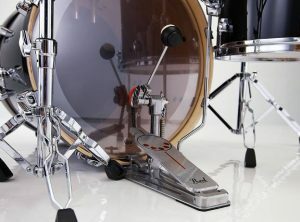 Tip – see our bass drum pedal buying guide below for more on cams. Non-skid rubber grip across the entire underside of the base plate, plus retractable spikes. Easy to reach hoop clamp nut, offset to the right of the footboard (rather than underneath the footboard like a lot of pedals). Double bass pedal thoughtfulness: The slave pedal’s tower is on the right side (instead of being double-sided), making it easier to position the hi-hat stand to the left. Drum key clip (with drum key) built into the base plate. Add-on accessory pack available, to change the footboard weight and heel plate height (the SM1260 pedal customizing kit). A nice nylon carry case. There are some great reasons why the DW 5000 takes our award for the best bass drum pedal for intermediate drummers. Most importantly, the DW 5000 is super smooth and super responsive. It feels great under your foot. Beyond this though, it also comes loaded with some really thoughtful features for intermediate drummers. 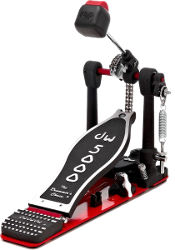 DW has an amazing track record for build quality, and this is is a bass drum pedal that will easily handle years of heavy playing. Beyond the great action and build quality, there are some features that really make this pedal stand out: The Tri-Pivot Toe Clamp, which saves time when setting up. The full rubber bottom, which means there’ll be no slipping on hard surfaces. The offset hoop clamp nut and drum key clip are both very handy. Finally, there are enough adjustments for you to set up this pedal exactly how you like. 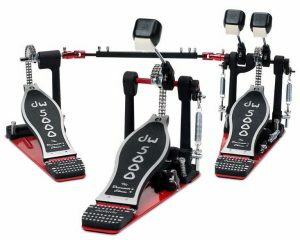 For all of these reasons, the DW 5000 pedal takes the award for best bass drum pedal for intermediate drummers, and best bass drum pedal under $200. Like we said above, there are some great pedals in this price range. We’re being a little picky here, but it’s the little things that get the DW 5000 across the line as the best bass drum pedal in this category. 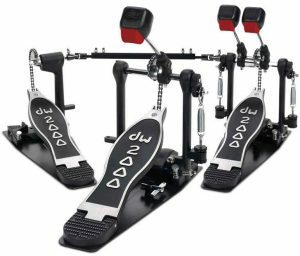 All of the bass drum pedals below are super smooth and have a great action, but it’s the practical features of the DW 5000 that make it really stand out. The Pearl is a great pedal, however the DW wins because of a few top features for gigging drummers. When playing a lot of shows (especially on different kits), the DW 5000’s Tri-Pivot clamp system is really handy… It just works well, every time. The full rubber grip across the bottom of the DW 5000 is also handy for times when you can’t use spikes. The drum key clip is a small but thoughtful feature: you’ll always know exactly where your key is. All of these things add up to time saving and less stress, which is great when you’ve got short setup and pack down times on stage. The Pearl Eliminator Redline is super smooth, and the interchangeable cams are a great feature… If you’re really into customization, then the Redline is a top choice. Overall though, it’s the practical things that get the DW 5000 over the line. 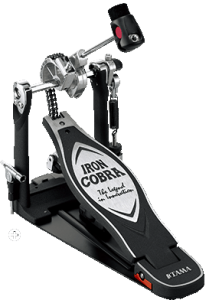 The Iron Cobra is another top pedal, and definitely worth checking out (especially if you’re a Tama fan). The one thing that beats it is the DW 5000’s new clamp system, which works a little better than the Iron Cobra’s. Yes we’re being picky here, but it’s a very close race. The latest version Tama Iron Cobra is super smooth, and the beater is one of the best we’ve used. However, after spending time with both pedals, we’ve chosen the DW 5000 as a close first. All precision machined parts: Most pedals are made with die-cast parts, but precision machining means everything fits together perfectly when these pedals are put together. It gives an incredibly solid and smooth feel. Grab the footboard and try to wobble it left and right… it won’t budge. 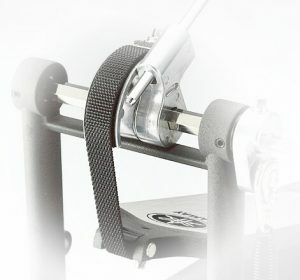 Solid and super fast bass drum clamp system: A tough spring-loaded mechanism, rather than the usual screw-on clamp. This pedal clamps on and off in under a second, which is perfect when setting up or packing down at shows. It grips tight, and it has wide grip range. 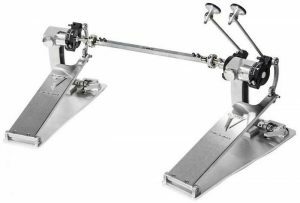 Versatile adjustable clamp system: The whole bass drum pedal’s clamp can slide forward and backward, meaning you can align the pedal perfectly to any bass drum. This is useful for fine-tuning exactly how close your bass drum pedal is to the drumhead. Extremely tough construction: You could drop this pedal from the third floor and it would probably still be playable (not recommended!). The easiest spring tension adjustment, ever. 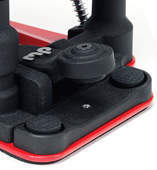 Spring tension is adjusted with an easy to reach dial on the top of the pedal tower, rather than underneath. You can dial in your perfect spring tension with one hand while playing, so you can quickly feel out the perfect tension. This is a huge step up from the usual get-down-on-the-floor style of spring tension adjustment. Independently adjustable beater angle and footboard height, with markers to help you remember your settings. A super versatile beater: It’s height-adjustable and angle-adjustable, and the face can be screwed off to swap between plastic, aluminium, and felt (depending on the sound you want). The angle adjustment is important, so you can ensure the beater’s face hits the bass drum head perfectly. A strong compression spring is used, rather than a tension spring. These are less likely to break, which is especially handy if you like a very tight bass drum pedal tension. Versatility: You can convert this pedal from a chain-drive to direct-drive, and from a shortboard to a longboard (the longboard version is called the BigFoot). There is also an advanced trigger system available. Parts are available direct from Trick’s website. Bonus points for the double bass version, which is actually two fully functional single pedals connected by a buttery smooth drive shaft. This means you can play double bass on one bass drum or two, without needing to buy different pedals. You can also use one pedal for a cowbell, tambourine, jam block, foot snare, or anything else when you’re not playing double bass. The pedal converts from a master-and-slave double pedal to two full single pedals in seconds. There are some really expensive double bass pedals out there that don’t convert to two single pedals, so well done to Trick for making this so easy. Trick have created something really great, which is why it gets our award for the absolute best bass drum pedal, period. When you’re spending big money on a bass drum pedal that you’ll keep forever, you need one that is versatile, reliable, smooth, and rock solid. Trick tick all of these boxes, but so do a lot of other top-of-the-line pedals. 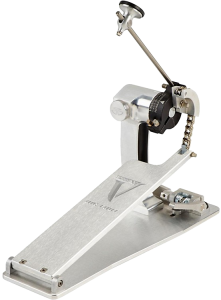 The Pro 1-V really stands out because of the unique features that show Trick truly understand what drummers want: The easiest spring tension adjustment of any pedal we’ve seen (no more getting down on the floor), the fastest clamp system ever, enough adjustments to suit even the fussiest drummer, a double pedal made up of two stand-alone single pedals…. the list goes on. Try finding all of the Pro 1-V’s features in any other bass drum pedal. The best thing is, all of these features are done well. Because of this, Trick’s Pro 1-V takes out top position as the absolute best bass drum pedal. The only downside is the price: You’ll pay a lot for it (although you’ll never need anything else). Trick ticks all the boxes – they’ve created a pedal that is a joy to use and that will stand the test of time. This is why it gets our award for the absolute best bass drum pedal out there. Axis pedals do not allow independent footboard and beater angle adjustments… This is a critical missing feature if you’re even moderately interested in fine-tuning your pedal. Change your beater angle, and the footboard angle has to move with it. Axis have the sonic hammer beater to overcome this (you can move the beater face closer to the drumhead). However, if you change to a different beater, you’re stuck. The Trick Pro 1-V double pedal can be much more easily split into two fully-functioning single pedals (it takes seconds). The Trick Pro 1-V feels slightly more solid than both of the Axis pedals we tested out… Trick definitely wins in the build quality department. Axis aren’t bad, but Trick just take it to the next level. Trick also gets across the line due to a bunch of other unique features: The super fast bass drum clamp, extremely well thought-out spring adjustment system, and much more versatility with general adjustments. Czarcie Kopyto have ripped a ton of stuff from Trick’s design (there are some striking similarities between these two pedals!). The spring tension system is towards the bottom of the pedal tower, meaning it’s harder to adjust. 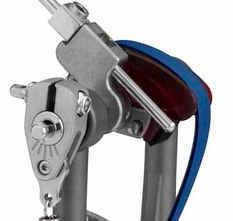 The bass drum clamp system is a screw-type rather than Trick’s great clamp system. The Czarcie Kopyto is direct-drive only, whereas you can change the Trick to a chain or direct-drive. The Czarcie Kopyto is more expensive than the Trick. The estimated delivery time is 6 months when you order. We couldn’t test the Czarcie Kopyto, although it seems like a great pedal from all we’ve seen. However: you’ll end up paying more, waiting longer, and missing some of Trick’s unique features. We’d love to test one out to be able to compare it properly in our best bass drum pedal roundup. What’s your favourite bass drum pedal? Have you used any of the pedals we reviewed? Let us know! If you’ve read through the reviews above but you’re still not satisfied, then take a look at the top rated bass drum pedals on Amazon.com. Full Disclosure: We’re not paid by anyone to write these reviews, and we’re not associated with any of the companies making any of this gear. We’re not told what to write – this is our honest opinion after a lot of testing and research. Shortboard bass drum pedals can be played with both heel-up and heel-down bass drum technique (you can rest your heel on the heel plate for heel-down). Heel-toe technique is completely possible, however some people find it harder. Having a shorter footboard forces you to improve your heel-toe technique, since there’s less room for error. Your sweet spot will be slightly higher on the footboard compared to a longboard. The sweet spot zone will be slightly smaller, since the pedal is shorter. Shortboards are easier to use for people with tiny feet, and more difficult for people with giant feet. If you’ve got feet within a wide normal range, foot size won’t make much difference for shortboard vs. longboard bass drum pedals. Longboard bass drum pedals can be played with heel-up technique. For heel-down technique, you’ll be resting your foot on the footboard itself (rather than a fixed surface), which can make it more difficult. Heel-toe technique is easier. There’s a larger area to use, and more room for error. Your sweet spot will be slightly lower on the footboard compared to a shortboard. The sweet spot zone will be slightly larger, since the pedal is longer. Longboard pedals are easier to use for people with giant feet, and more difficult for people with tiny feet. If you’ve got feet within a wide normal range, foot size won’t make much difference for shortboard vs. longboard bass drum pedals. It mainly just comes down to personal preference… It’s possible to play like a pro on either. You can play blisteringly fast, or with pinpoint accuracy on either. If you have gigantic feet, you’re probably better off with a longboard. If you use a lot of heel-down technique, you’ll probably prefer a shortboard. If you really can’t decide, then the best bass drum pedal for you is the Pearl Demon Drive: This pedal can be quickly converted between a longboard and shortboard right out of the box. 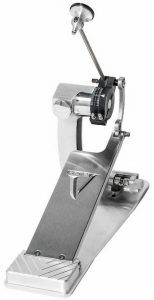 You can also buy different footboards for other bass drum pedals (like the Trick Pro 1-V we’ve reviewed above), to convert between longboard and shortboard without needing to replace the whole pedal. 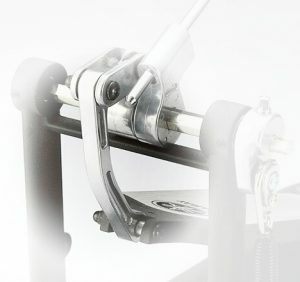 The bass drum pedal’s drive is the part that connects the footboard to the beater. Chain-drive bass drum pedals are the most common type of pedal out there. A chain is an effective and versatile way to link the footboard to the beater: Chains can move freely enough to respond to fast movements, without too much stiffness slowing you down. Chain-drive bass drum pedals are great for power… You can generate a lot of force with a chain, almost like you’re whipping the beater into the bass drum head. 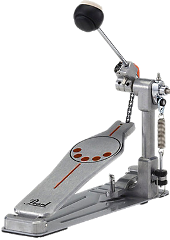 For this reason, a chain-drive bass drum pedal is great for drummers who want a big and powerful bass drum sound. 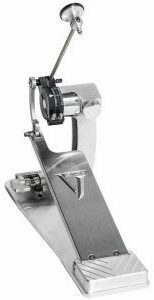 The Trick Pro 1-V bass drum pedal (reviewed above) is available with a chain-drive. Single chain bass drum pedals (a thin single chain) = Lighter & faster feeling. The thinner chain is more free to move, which means it can move faster. Double chain bass drum pedals (two chains connected side-by-side) = Sturdier & usually more durable. 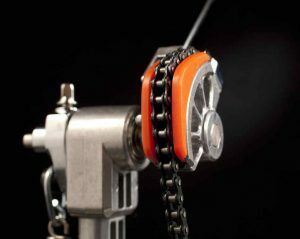 The thicker chain adds slightly more bulk and friction to the movement. Strap-drive bass drum pedals (also called belt-drive pedals) use a strap made from a strong material like nylon or kevlar. Older strap-drive bass drum pedals used leather, which was prone to breaking. A strap-drive pedal is great if you want something faster than a chain-drive pedal, but with more room to move than a direct-drive pedal. Compared to a chain-drive bass drum pedal, a strap has less moving parts to slow the pedal’s movement. However, some people feel a strap-drive pedal has slightly less power compared to a chain-drive pedal. Compared to a chain-drive pedal, strap-drive bass drum pedals usually feel smoother and lighter. The beater’s movement is also slightly more responsive when the footboard is pressed. A strap-drive bass drum pedal is a good middle ground between the power of a chain-drive, and the precision of a direct-drive pedal. If this is the feel you’re looking for, then a strap-drive pedal is probably the best bass drum pedal type for you. 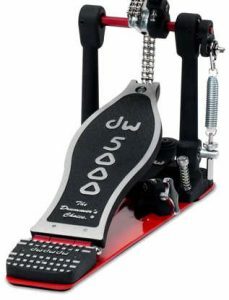 The DW 5000 bass drum pedal (reviewed above) is available with a strap-drive. Direct-drive pedals have a direct link (made of solid metal) between the bass drum pedal’s footboard and the beater. Chains and straps can be affected by slack, both when beginning a stroke and when lifting your foot after a stroke. Direct-drive bass drum pedals avoid this problem. You’ll know exactly where your bass drum beater is at all times, because the beater and footboard always move as one. The benefit here is that you’ll have a lot more precision with your strokes. You can also play extremely fast, since there’s no slack or extra moving parts between the footboard and beater. Some drummers prefer this, while others find these pedals too hard to control. There’s less room for error with a direct-drive pedal, so it forces you to improve your timing and technique. For this reason, direct-drive bass drum pedals can take a little getting used to. Direct-drive pedals are great for drummers looking for speed and precision… If this is what you’re searching for, then this is the best bass drum pedal drive type for you. The Trick Pro 1-V bass drum pedal (reviewed above) is available in a direct-drive version. The Best Bass Drum Pedal Drive Type? Each drive type is useful for different situations, but a lot of the choice simply comes down to personal preference. If you’re wondering what is the best bass drum pedal drive type, the answer is it depends. They can all feel great, and they can all function smoothly (especially after you’ve adjusted to them). There are differences, but it’s also completely possible to play a direct-drive pedal with extreme power, or a chain-drive pedal with extreme precision: Your bass drum foot technique will have a big impact on these things. As a general guide though, you can keep the above tips in mind when shopping for the best bass drum pedal drive type for your playing style. 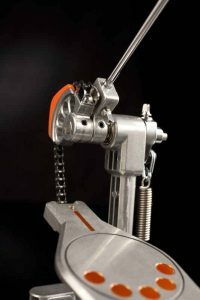 The DW 5000 bass drum pedal (reviewed above) can be easily converted between a chain-drive to a strap-drive. The Trick Pro 1-V bass drum pedal (reviewed above) can be easily converted between a chain-drive and a direct-drive. If you want versatility with drive-types, one of these might be the best bass drum pedal for you. Cams change the feel of the pedal as you use it. More specifically, cams dictate how the beater moves from the resting position to striking the bass drum. The cam is the part that the chain or strap moves across as you press on the footboard, and different shaped cams will change this movement. Think of the cam as the translator between the footboard’s movement and the beater’s movement. Direct drive pedals don’t have a cam, since the footboard and beater are connected directly (no movement translation is required). With round cams, the beater always moves at the same velocity, regardless of where your footboard is (i.e. regardless of where you are in a stroke). The movement is always consistent, which makes this type of cam great for precise bass drum control. If you like a consistent feel and good control, the best bass drum pedal for you will be one with a round cam. 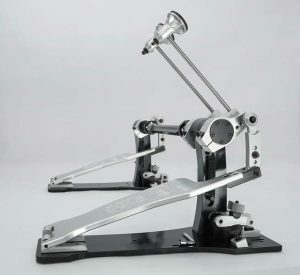 The Turbo Cam version of the DW 5000 bass drum pedal is a great example of a round-cam bass drum pedal (pictured). With a flat cam, the beater moves towards the drumhead with greater velocity compared to a round cam. This gives greater acceleration to each stroke, without actually needing to move your foot faster. This type of cam is great for speed: fast double-bass drumming or quick double/triple strokes. If you want greater beater acceleration, the best bass drum pedal for you is probably one with a flatter cam. 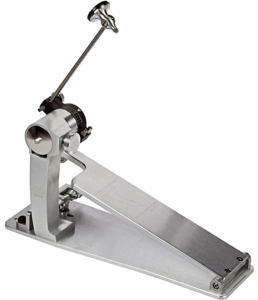 A great pedal with a flatter cam is the Accelerator Cam version of the DW 5000 bass drum pedal (pictured). You’ll sometimes see cams that are part round and part flat. The same rules apply as above, depending on where you are in a bass drum stroke: When the chain/strap rolls across the round area, the beater movement will be consistent. When the flatter part of the cam comes into play, there will be a boost in velocity. You’ll often see flatter areas towards the end of the cam, boosting velocity just before the beater hits the drumhead. How does this actually work? The shortest distance between two point is a straight line. With a round cam, the chain/strap runs around the round edge of the cam, meaning it covers more ground at the pedal is pushed down. 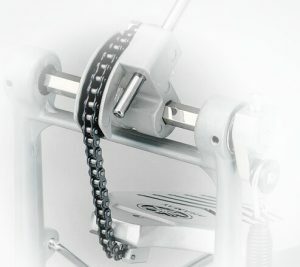 With a flat-faced cam, the chain/strap is being pulled almost directly down when the pedal is engaged, meaning the beater will move faster. Once you learn these little rules, you’ll be able to tell exactly how a pedal will respond just by looking at the cam. The Pearl Eliminator Redline, the Pearl P930, and Pearl P932 bass drum pedals all come with removable cams. When you buy the pedal you get two (P930 & P932) or four (Redline) different shaped cams in the box (pictured above). 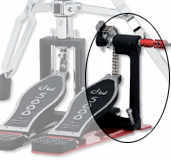 The DW 9000 bass drum pedal has an adjustable cam, which can become rounder or flatter depending on your playing needs. There’s one other simple (but super important) thing…. This one is often overlooked when people make adjustments to find the best bass drum pedal action, or the best bass drum pedal feel. It’s an inexpensive thing, but it always has a huge impact on how your bass drum pedal moves, and your overall bass drum sound. Your beater’s material type, size, shape, and weight will change how your bass drum sounds, and how the bass drum pedal feels. There’s a lot of stuff to cover when it comes to bass drum beaters, and it really deserves a whole article to explain all of the important stuff. Click here to read everything you need to know about bass drum beaters. This free article covers the different beater types, shapes, sizes, weights, and (most importantly) how all of this actually affects your bass drum’s sound. We’ve also covered the best bass drum beater in each category, so you know which beaters are worth buying once you’ve found the best type for your sound and style. Don’t neglect your beater. While we’re on the subject of bass drums, see our article covering everything you need to know about bass drum port holes: How they change your sound, where they should go, and whether you actually need one. 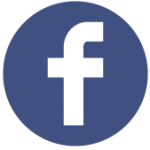 If you’ve every had questions about port holes, this is the page for you. Get yourself the best bass drum head for your style: Check out the Drumhead Selector – The internet’s BEST tool for finding your perfect drumhead. Search, filter, and compare all Aquarian vs Evans vs Remo drumheads. Line up any combination of heads to see every feature listed side-by-side. Filter drumheads by drum type, sound, ply, durability, responsiveness, surface type, thickness, special features and more to quickly find the perfect drumheads for your kit. Looking for top drum accessories and gifts? Take a look at our roundup of great drum accessories and the best drum gifts for drummers, or check out our guide covering the best music gifts for music lovers. 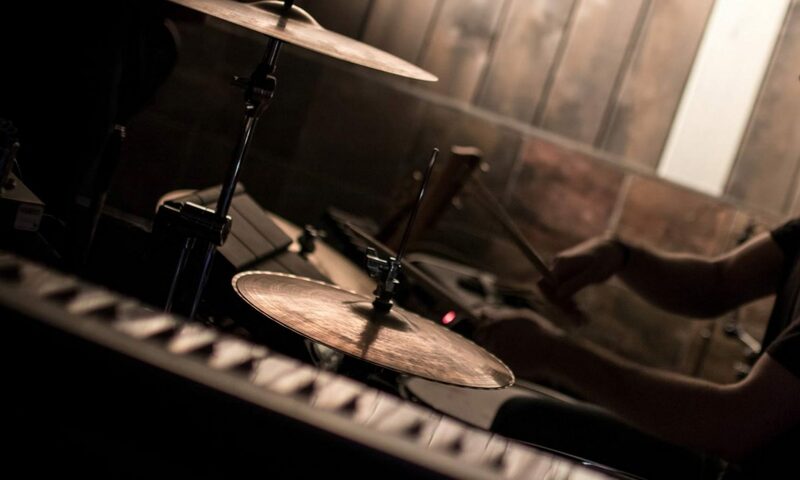 Discover the best ways to make your drums quieter or change your sound: Check out our top tips to reduce drum volume, and our huge drum dampening and drum muffling guide.